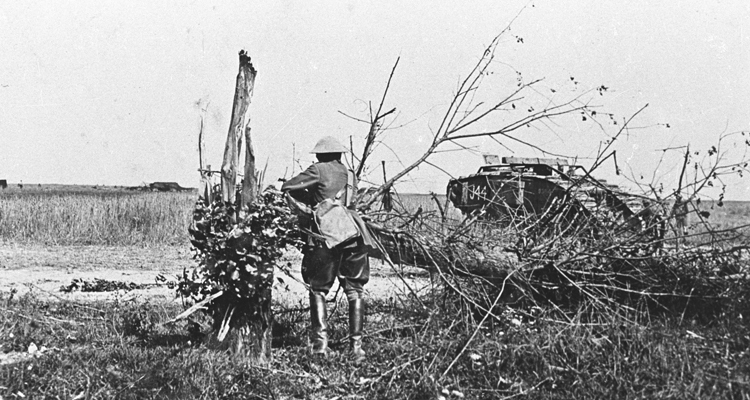 The Battle of Arras, in April 1917, was relatively ineffective where tanks were concerned, in any case it was the last battle in which Mark I and Mark II tanks dominated, and was regarded more as the final action of the 1916 series. New battles with new tanks were in the offing. 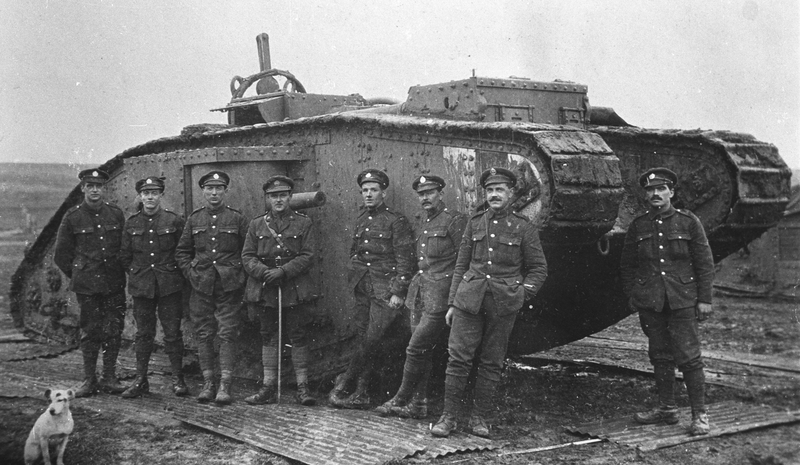 The first of these was the Battle of Messines, in which 2nd Tank Brigade took part, using the new Mark IV tanks for the first time. 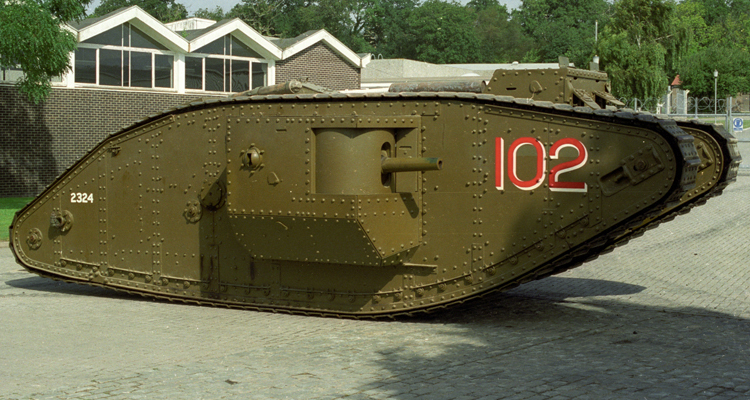 Although mechanically speaking the Mark IV was virtually the same as the old Mark I it had other features that made it a more practical design, it would dominate all the subsequent battles of 1917. 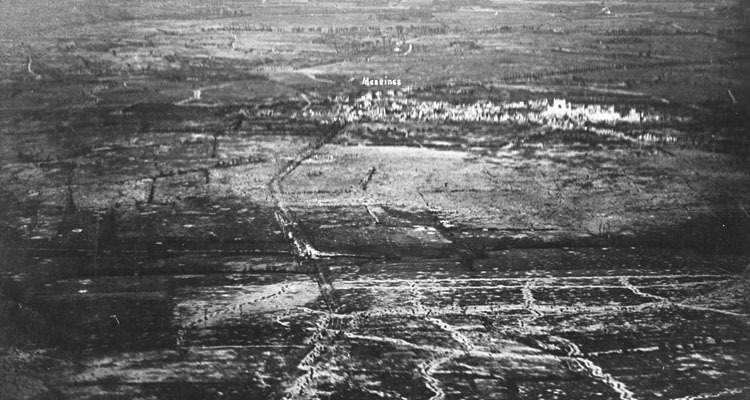 At Messines tanks were directed against the Wytschaete Ridge but they were hardly needed as huge mines were exploded. On 28 July 1917 The Heavy Branch, Machine-Gun Corps was renamed the Tank Corps and a new badge issued. A significant moment in Tank Corps history. The Third Battle of Ypres began on 31 July 1917. But continual rain on muddy ground in low lying Flanders turned the land into a swamp. J. F. C. Fuller, a Tank Corps staff officer, described it as a study in how to move 30 tons of metal through a morass of mud and water. 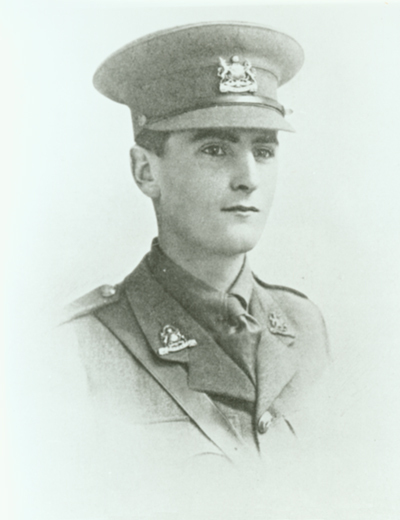 There were successes of course and the Tank Corps gained its first Victoria Cross, posthumously unfortunately, when Captain Clement Robertson led his tanks into action on foot on 4 October 1917 and was shot in the process. To mark the 100th Anniversary of the event the bridge at Reutel, one of the objectives, is to be renamed Robertson Bridge in 2017. 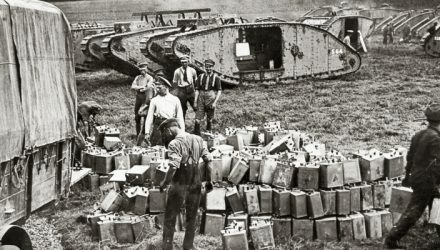 A popular comment at the time pointed out that conditions on a battlefield were likely to be bad, and unless tanks could work in such conditions they were useless. Tanks had reached a new low in general acceptability. Enthusiasts were continually arguing that tanks deserved a chance on good ground to prove what they could do. That chance came late in the year, on 20 November 1917 virtually every tank in France was launched on the Battle of Cambrai. With the Tank Corps Commander, Brigadier-General Hugh Elles leading the way in the tank ‘Hilda’, flying the Tank Corps flag, 474 tanks swept forward and generally were very successful. 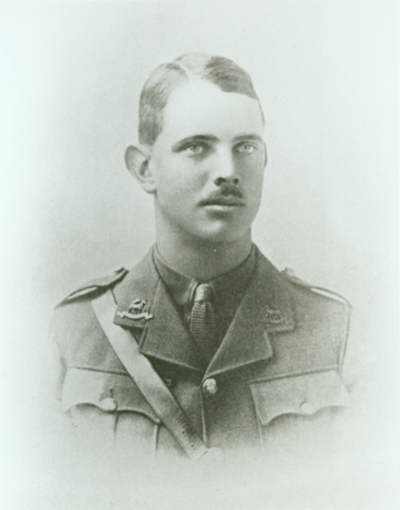 A second Victoria Cross was won, again posthumously, by Captain Richard Wain, in a suicidal attack on German Infantry. The battle continued, with diminishing success, until the end of the month, after which the Germans counterattacked, without tanks, and won most of the captured ground back. 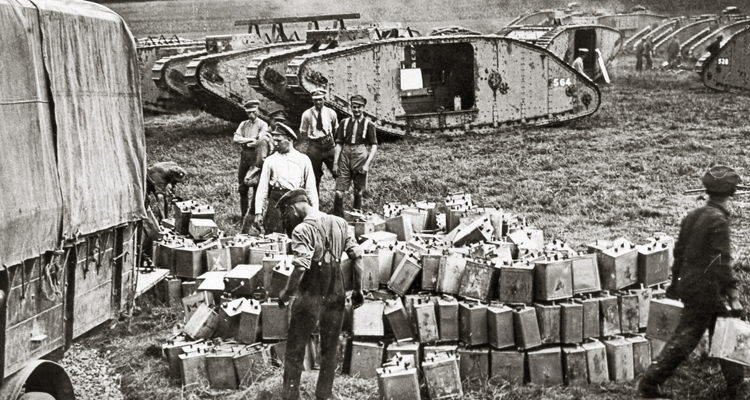 But as far as the Tanks were concerned 1917 ended on a high note, the tank was here to stay. Find out more about 1917 conflicts here .